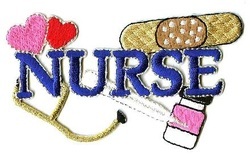 If your son or daughter is thinking about a nursing career, s/he has probably heard about the wide variety of paths to becoming a Registered Nurse. There are two-year paths available at Oregon community colleges and four-year programs that lead to a Bachelor of Science in Nursing. The BSN is the widely accepted standard for nurses and offers great flexibility for employment and advancement in the field of nursing. Some colleges and universities require two years of undergraduate core requirements after which, students apply into the nursing program for their last two years of college, earning the BSN in four years. Some colleges and universities offer direct admission into the nursing program so that incoming freshmen begin the path to the Bachelor of Science in Nursing right away and also complete the degree in four years, ready to take licensing exams. Here are five colleges that admit freshmen directly into their nursing schools. International exchanges allow nursing students to participate in international health care settings via short-term missions or a semester abroad. By the numbers: 82% overall acceptance rate; SAT mid-range scores: CR 490-590 M 490-600; ACT Mid-range: 21-27. Acceptance rates for nursing students vary, depending on which path to the BSN is chosen. Students at all levels can participate in research projects with nursing faculty in the areas of symptom science, family/community care, aging, self-management, and neuroscience. Nursing school students participate in a partnership with the World Health Organization by completing courses of study or clinical and service learning projects abroad. By the numbers: 42% overall acceptance rate; SAT mid-range scores: CR 600-720, M 670-760; ACT mid-range: 29-33. By the numbers: 53% overall acceptance rate; SAT mid-ranges: CR 490-620, M 510-610; ACT mid-ranges 22-27. Acceptance rate for nursing students may be lower. The Simulation Suite allow several simulations to be run at the same time, with video recordings used for immediate evaluation and feedback sessions for nursing students. Automatic merit scholarships based on high school GPA are available to incoming freshman nursing students. By the numbers: 84% overall acceptance rate; SAT mid-range scores: CR 30-520, M 440-540; ACT mid-range: 19-23. The Hispanic Focus is an elective course of study within the four-year nursing program intended to promote understanding of and nursing practice within the Hispanic community. The Clinical Nurse Leader Honors Program enables participants to complete a Master of Science in Nursing in one additional year and one additional practicum experience. By the numbers: 70% overall acceptance rate. SAT mid-range scores: CR 500-600, M 510-610; ACT mid-range 23-27. Acceptance rate for nursing students may be lower. There are hundreds of direct-admit nursing programs in the United States listed on the website of the American Association of Colleges of Nursing. Direct-admit nursing programs in the Pacific Northwest include Concordia University Portland, George Fox University, Gonzaga University, Linfield College, University of Portland, Pacific Lutheran University, Seattle University, Seattle Pacific University. Other programs for freshman direct-entry nursing are Arizona State University, Augustana College (SD), Berea College (KY), Boston College (MA), Northwest Nazarene University (ID), St. Louis University (MO), Villanova University (PA).Be sure to check each college's admission requirements, since admission standards usually include a high school transcript showing successful completion of several higher-level science and math courses.